Established in 1807 by the vestry of Christ Church and officially named the Washington Parish Burial Ground, the cemetery served as the favored burial site for U.S. public servants until the establishment of the National Cemetery System following the Civil War. The irregular 30-acre site occupies about nine blocks of L’Enfant’s original street grid on the west bank of the Anacostia River overlooking southeastern Washington. 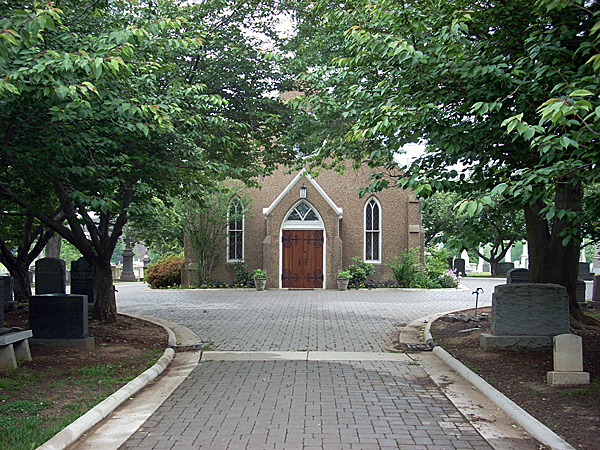 Linear rows of monuments and straight walking paths continue the city’s geometry within the cemetery gates, and a chapel, added in 1903, occupies the axial center. Much stone and ironwork survives from the cemetery’s Victorian era and tree canopies along major walks and drives continue to be restored. 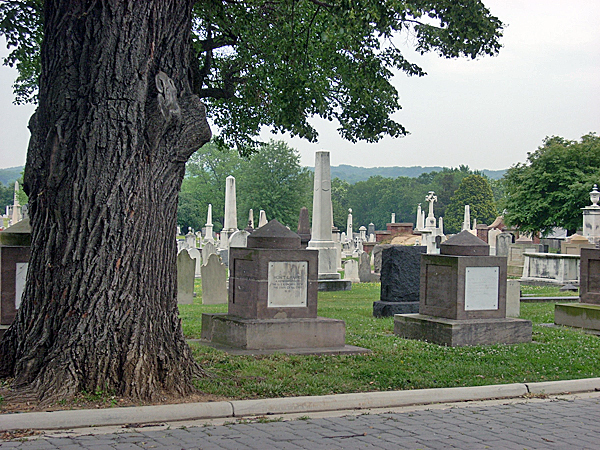 Architect Benjamin Henry Latrobe, best known for his work on the U.S. Capitol, designed the cemetery’s 165 cenotaphs, whose Egyptian-inspired design marks a significant departure from the colonial-style gravestones that predominated during the 19th century. 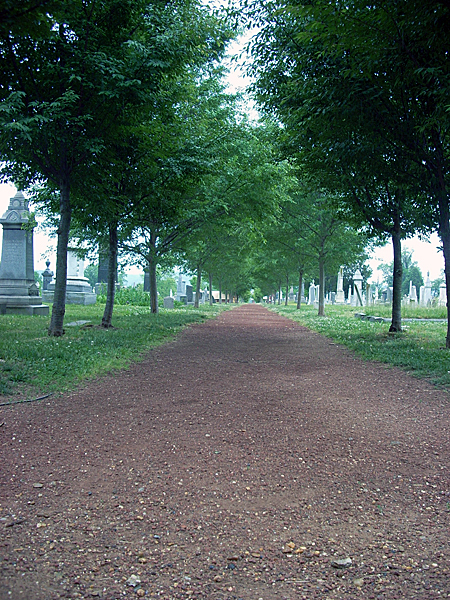 Interred in the grounds are numerous congressmen and members of the executive branch who died in office, FBI director J. Edgar Hoover, composer John Philip Sousa, several American Indian chiefs, and a number of landowners and architects who played a role in the city’s early development. 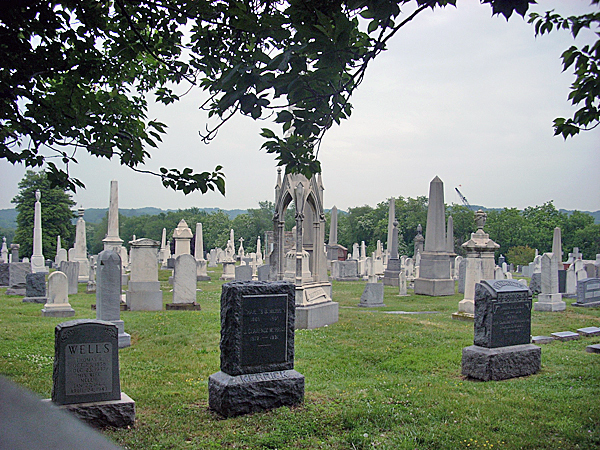 The cemetery was named a National Historic Landmark in 2011.